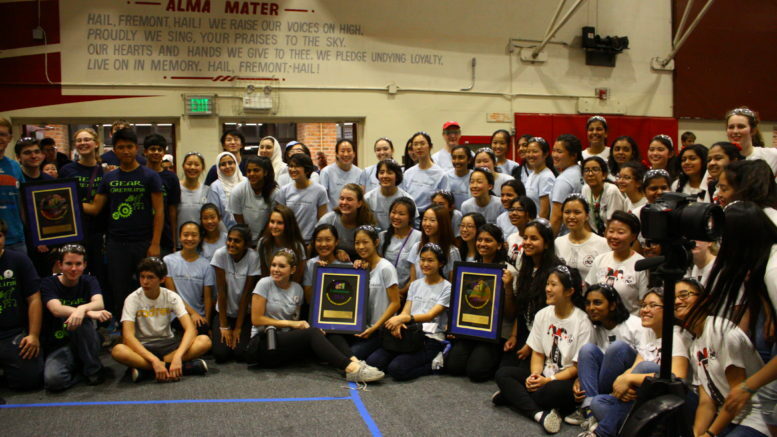 After finishing in second place at Chezy Champs on September 25, Juniors Gaurisha Dewan, Claire Yung, and Alyssa Zhu dominated at CalGames 2016 as part of For Inspiration and Recognition of Science and Technology Robotics Competition (FRC) Team 1868 Space Cookies, taking home first place. CalGames, an annual off-season tournament where 36 western region teams compete, was hosted by the Western Region Robotics Forum at Fremont High School in Cupertino from October 7 to 8. The CalGames is a tournament that is a replay of the 2016 FRC game, Stronghold. Stronghold is a medieval-themed game where robots attempt to score the most points during a sports-style three versus three match through a series of missions, such as defending their own towers while trying to capture the opposing team’s tower. Teams are ranked at the end of elimination rounds, and the top teams get to be alliance captains that pick their teammates for the finals. After facing technical issues in their last tournament, the Space Cookies ensured the mechanisms on their robot were working properly and incorporated a new design onto the defense arm to prevent their pistons from breaking. During elimination rounds the team won five out of their eight matches, allowing them to be alliance captains for the finals. After picking FRC teams 3045 and 1967 as their teammates for the rest of the tournament, the Space Cookies made it through quarterfinals and semifinals with four winning matches. In the finals, the teams won two out of three matches to take first place. 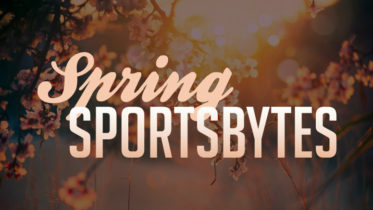 CalGames is the last tournament where Stronghold will be played, so the team is looking forward to the new game that will be released on Jan. 7, 2016, beginning the new season. In the meantime, the team will focus on impacting the community and spreading science, technology, engineering, and mathematics through outreach while preparing for the new game. Be the first to comment on "News Extension: All-Girl Robotics Team Dominates Again"